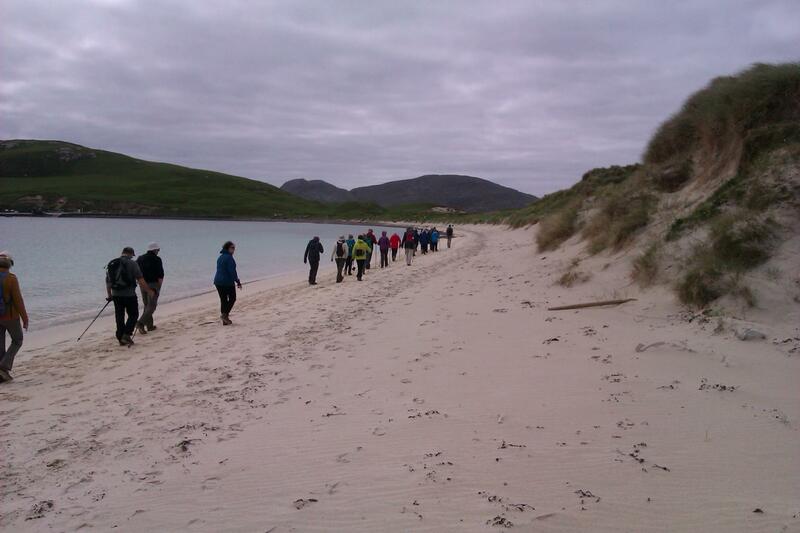 Our first Footloose adventure of 2017 takes us around the northern tip of Skye and over The Minch to the most southerly of the Outer Hebrides, the Bishop's Isles, where we land by beach craft onto the white sands of this remote archipelago. As with all our Footloose cruises, there are less energetic visits for those who prefer a more relaxed pace. 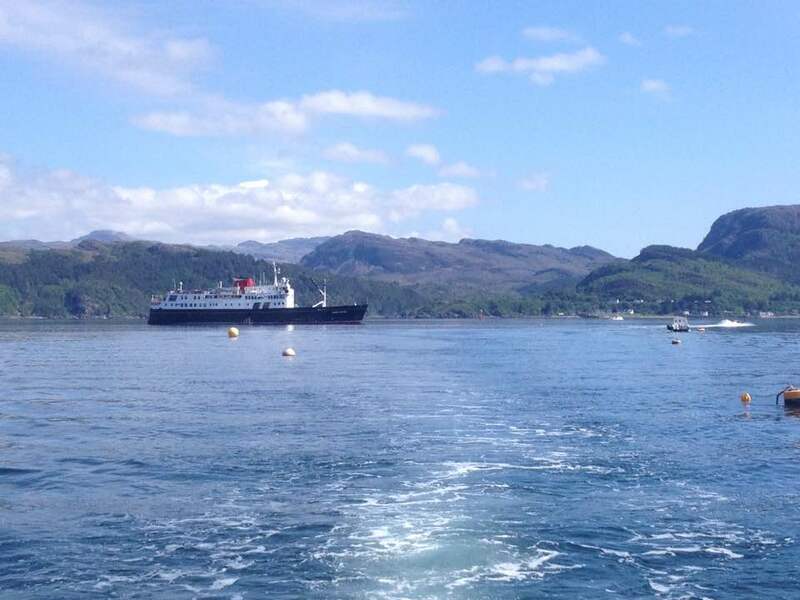 When embarkation was complete we set sail from Oban to our overnight anchorage in Bloody Bay off the Isle of Mull. Our first port of call was the village of Inverie, the largest settlement in mainland Britain not connected to the road network, for walks and strolls. During lunch we cruised through the Sound of Sleat and The Narrows to Kyle of Lochalsh where the walkers disembarked for a walk from Balmacara and the strollers visited Eilean Donan Castle. We remained alongside at Kyle of Lochalsh overnight. This morning we cruised to Plockton for walks and strolls around the conservation village, taking in the open air church. 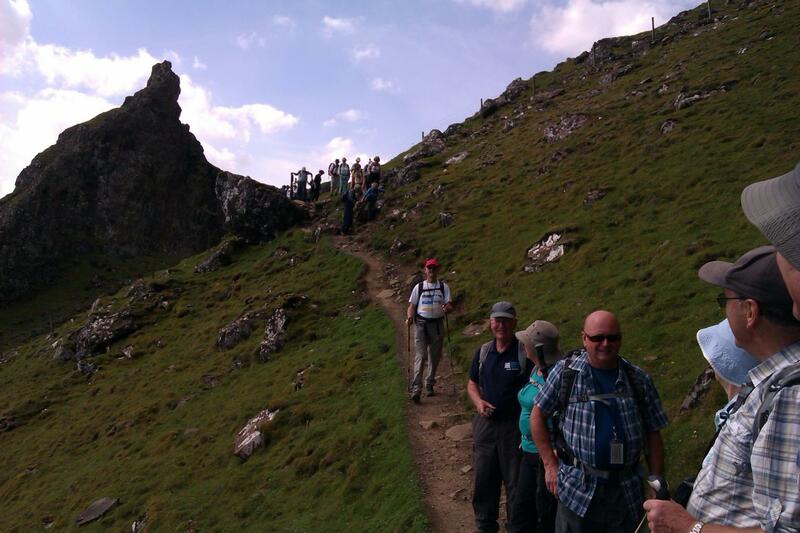 In the afternoon we arrived at the Isle of Raasay where guests explored on foot and refreshments were served at Raasay House. 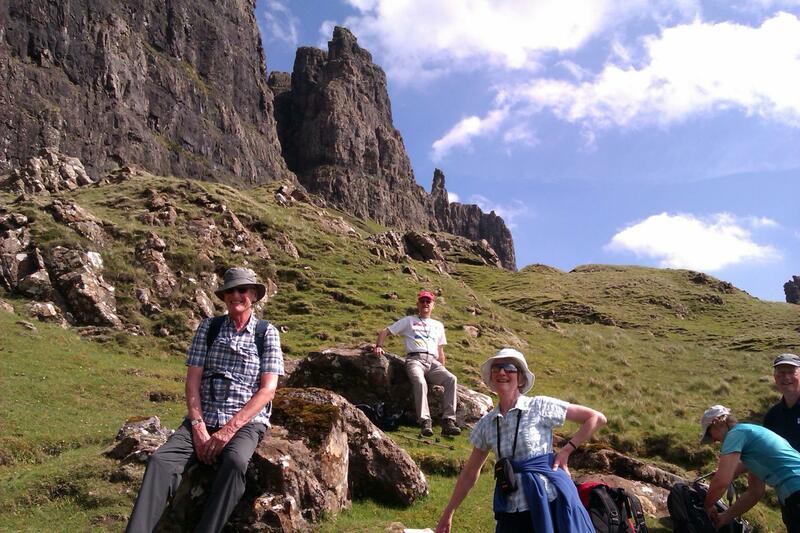 We remained alongside in Raasay overnight. This morning we sailed into the colourful harbour at Portree, where all guests disembarked for a full day on Skye, re-joining the ship in the afternoon at Uig. 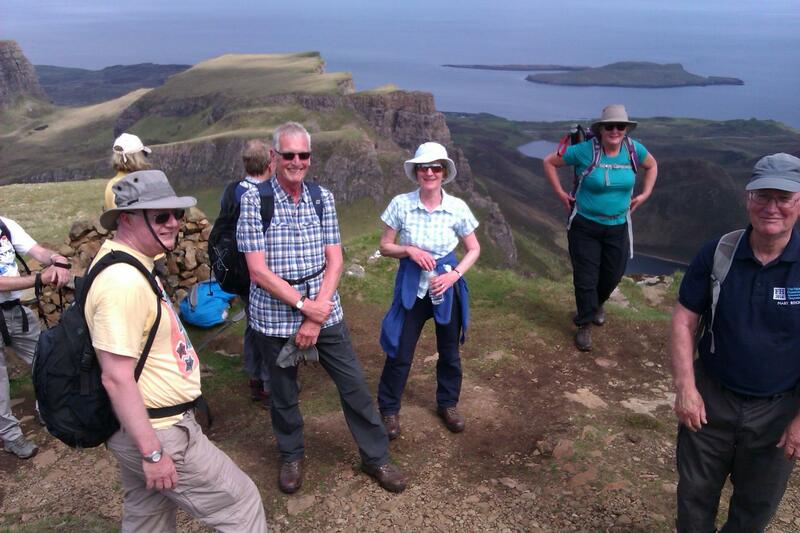 The walkers enjoyed a full day walk on the Quirang whilst the strollers had some free time in Portree before setting off on a tour of the Trotternish Peninsula which included a delicious seafood buffet lunch at the Flodigarry Hotel. 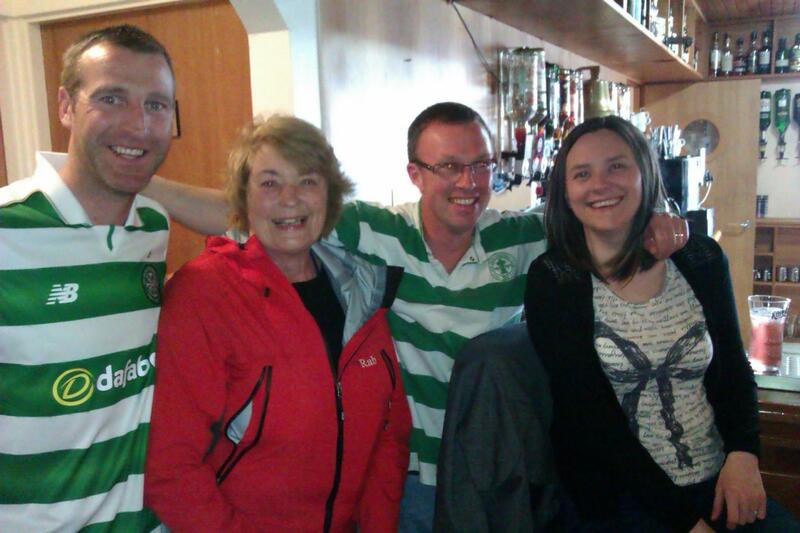 After an early eveing sail of The Minch, we anchored overnight off Lochboisdale, South Uist. 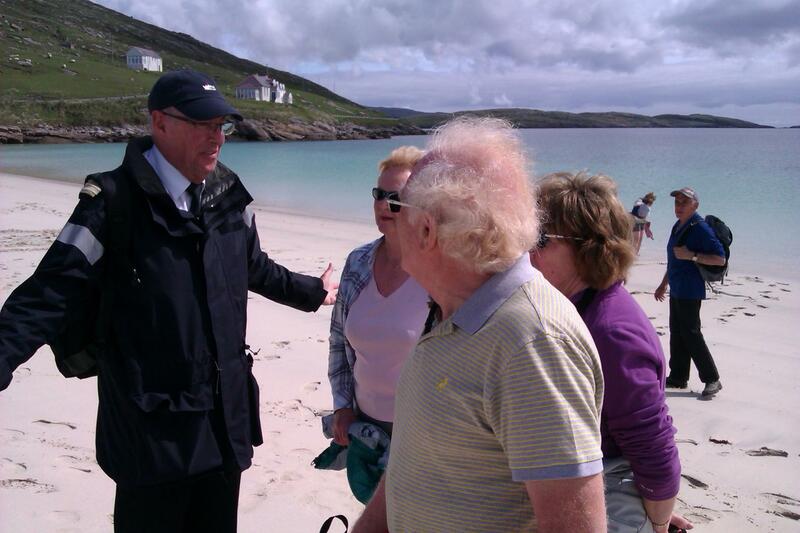 The walkers disembarked in Lochboisdale for a full day walk on the Uists, re-joining the ship at Eriskay in the afternoon. 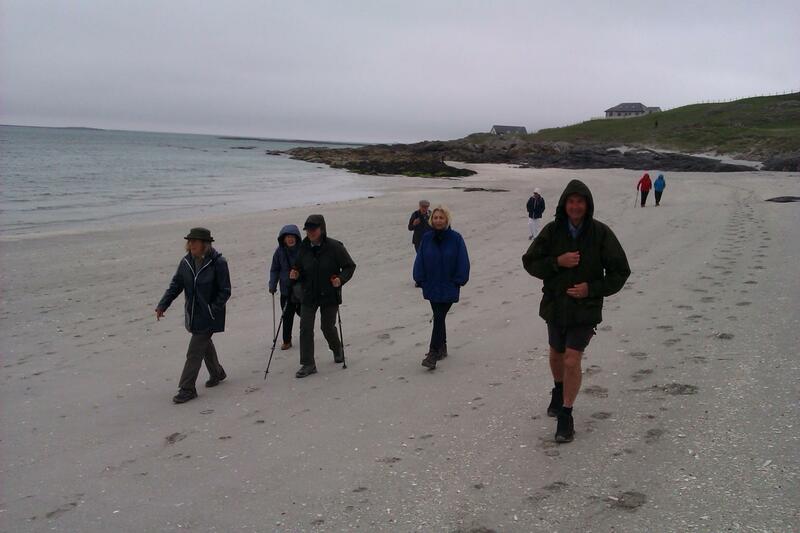 The strollers went on a tour of South Uist including the Kildonan Museum before sailing to the Isle of Eriskay for afternoon walks along Prince's beach with a refreshment stop at the Am Politician pub, where one of our guests who is a football fan met locals watching the Scottish cup final. We anchored overnight off Castlebay, Barra. 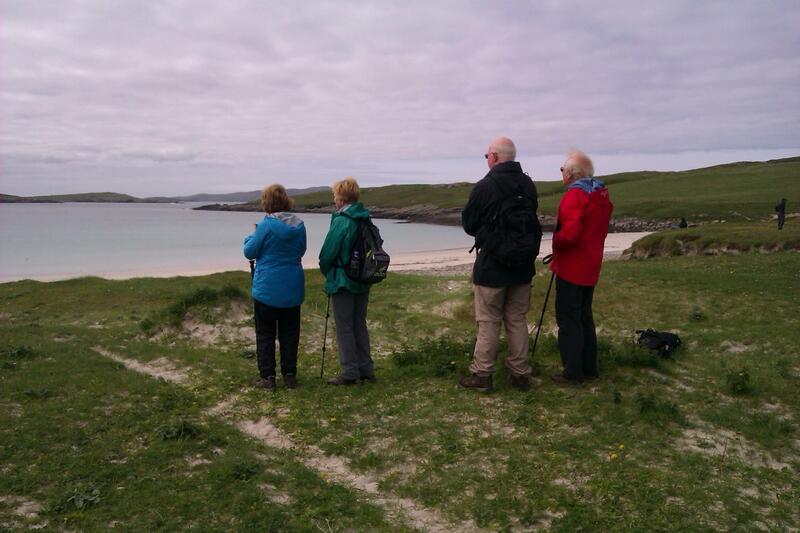 From Castlebay this morning guests enjoyed exploring Vatersay on foot. 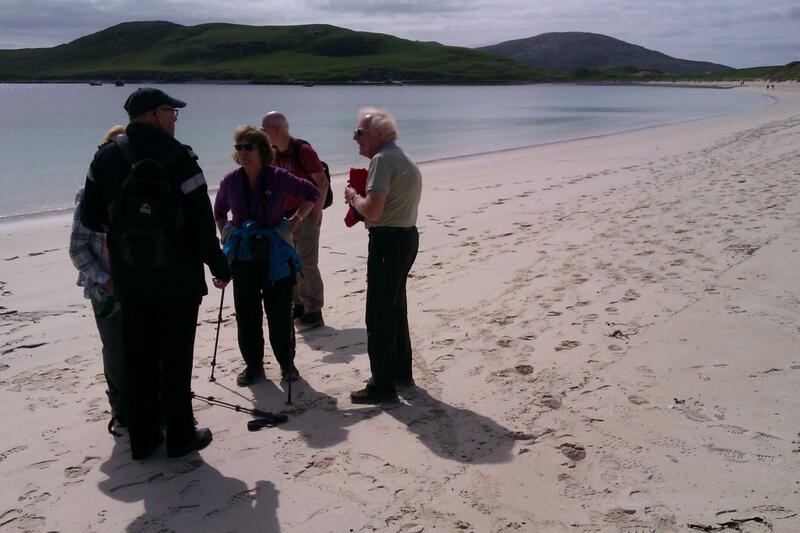 During lunch we sailed to the Bishop’s Isles for a fabulous beach landing on Pabbay where well-earned refreshments were served on the beach after walks and strolls on the island. After sailing the Sea of the Hebrides, we anchored overnight in Loch Scresort, Rum. 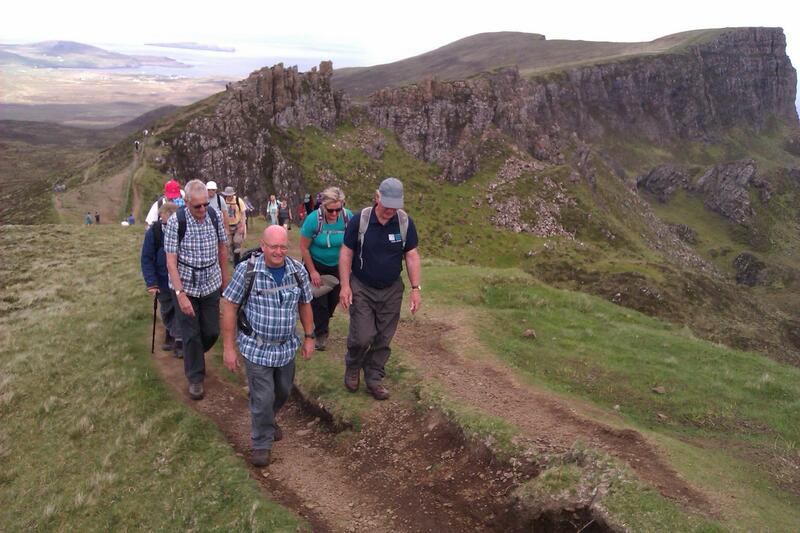 Our morning port of call was the Isle of Eigg where the more energetic tackled the challenge of An Sgurr and those who wanted a more relaxed pace strolled at leisure. Our final afternoon was spent visiting Tobermory, Isle of Mull, for afternoon walks or to explore the town and the Farewell Gala Dinner was held at anchor in Ardtornish Bay. Disembarkation took place at Northern Lighthouse Pier in Oban after breakfast.